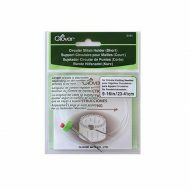 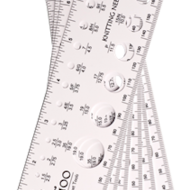 ChiaoGoo Double-Sided US-Metric Swatch/Needle Gauge. 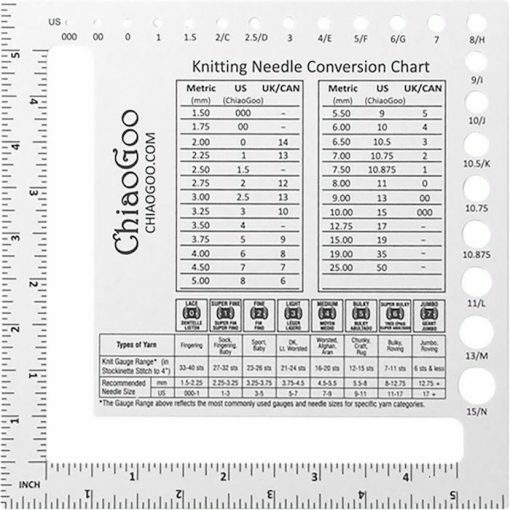 Front Side – Knitting Needle Conversion Chart. 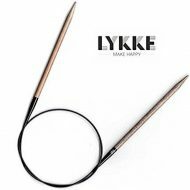 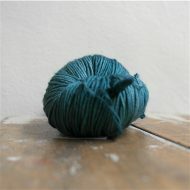 Types of yarn and recommended needle size. 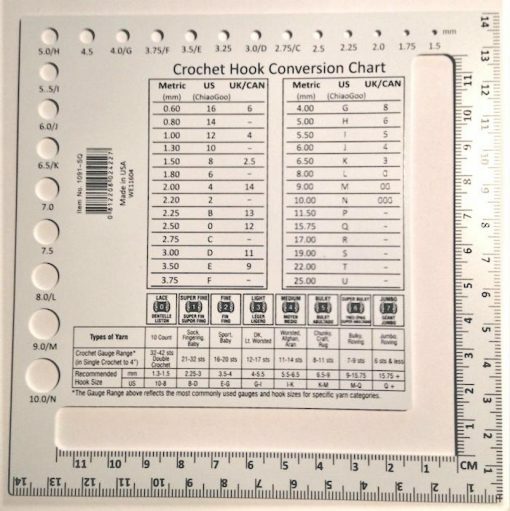 Back Side – Crochet Hook Conversion Chart. Types of yarn and recommended hook size. 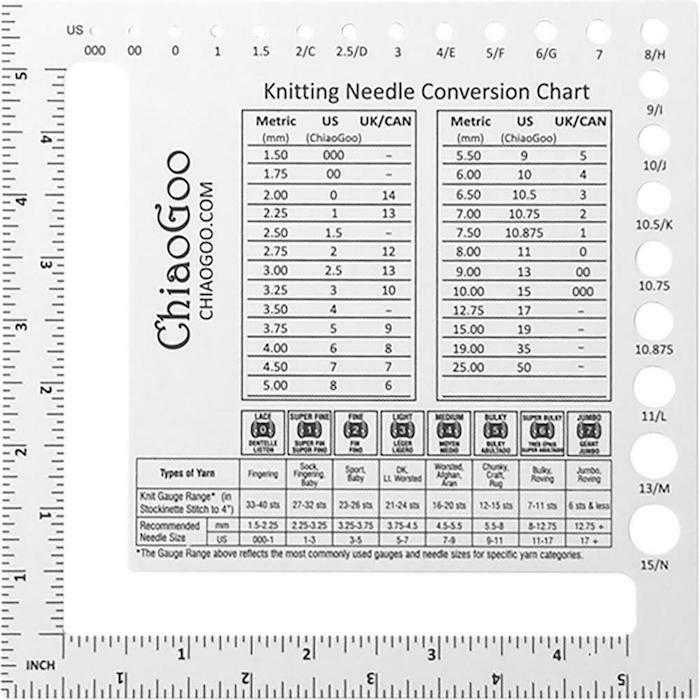 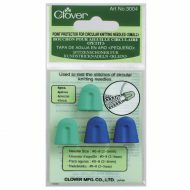 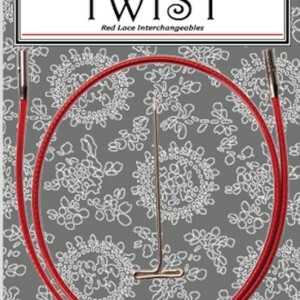 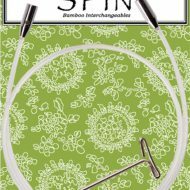 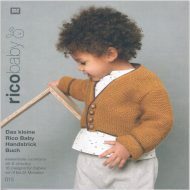 Chiaogoo knitting and crochet accessories are designed, manufactured and wholesaled by Westing Bridge LLC, based in Michigan USA. 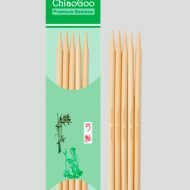 The bamboo needles are made from Moso bamboo, one of the largest and strongest bamboos in the world. 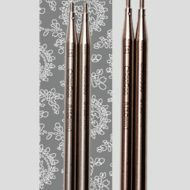 All the bamboo products are made by skilled craftsman with over 100 years of experience that is passed down through the ranks, and all the bamboo products are eco-friendly. 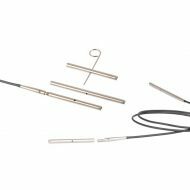 The stainless steel products are made with surgical grade stainless steel that is hypoallergenic and not reactive to sensitive skin. 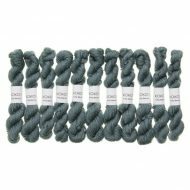 They have a smooth, satin sheen that doesn’t reflect light, are strong but also lightweight.